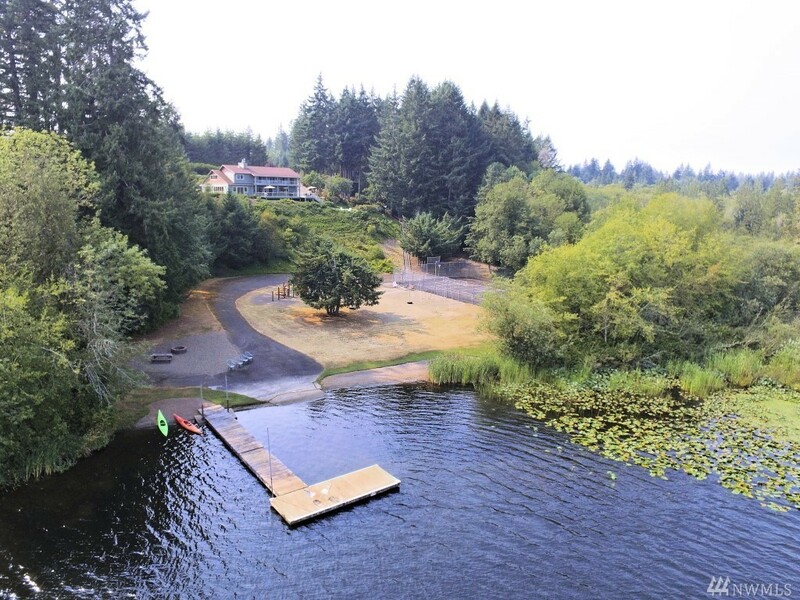 Unbelievable lakefront compound only 25 minutes from Olympia. Huge home with a remarkable kitchen, great room, living room and a formal dining area. Sliding doors open to the decks and patio. Upstairs reminds you of summer camp. Rec room, workout room and tons of sleeping areas. At the lake is your own private park with sport courts, a playground, a boat launch and dock. The other house has a kitchen and living room, bdrm and an office. 28 acres and 4 other potential building lots. Come see it!